Lacie's Sketchbook: Vampires in Brasov? My friend Emily and I meet on Wednesday mornings to analyze Juliet Marillier's young adult novel, Wildwood Dancing. When my husband first heard of our plans he said, " So-- is that fun for you?" Until that moment I hadn't thought about how others might view our form of entertainment. This novel is not just one of our favorites; it's an impressive specimen of storytelling. Juliet Marillier weaves historical fiction with fantasy and her readers grow to love the five human sisters as well as the dwarfs, trolls, and forest folk of the Wildwood. The vampires, or Night People, leave their mark, but do not dominate this adventure. The two worlds in this book are captivating in their own right, but I am drawn to them on a more personal level. The setting for the novel is Brasov, Romania-- and the surrounding mountain area-- where my son happens to be living and serving a mission. 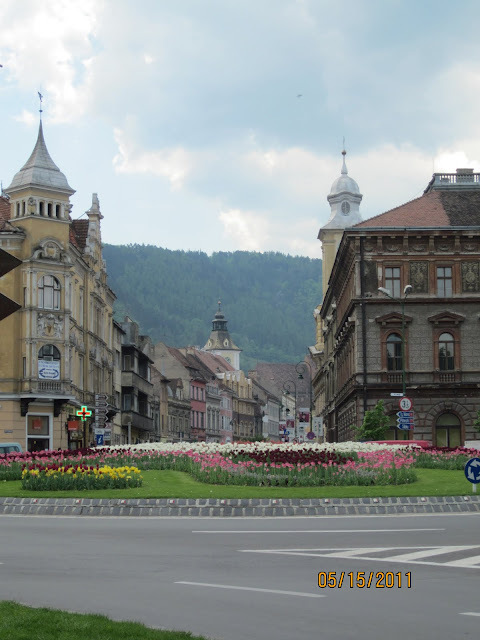 Romania is divided into regions, similar to counties, and Brasov is in the Transylvania region. Can anyone hear that name without thinking of vampires? 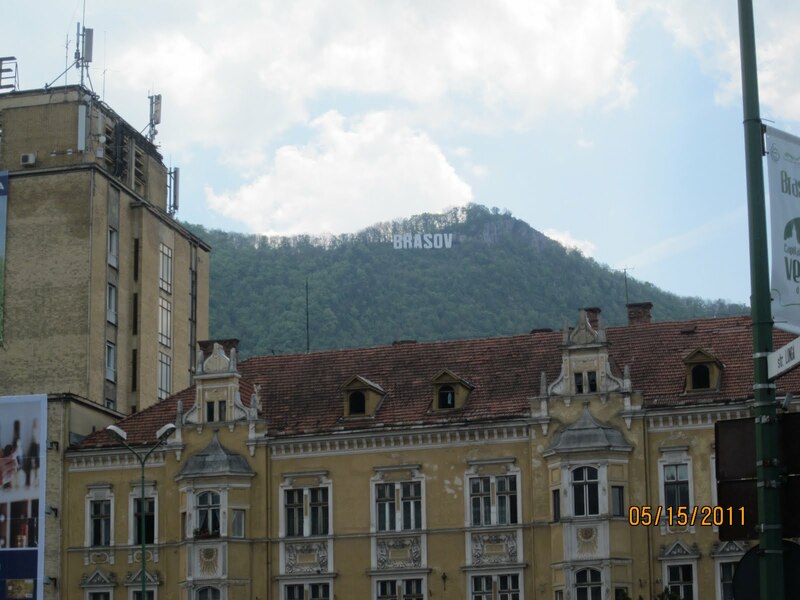 Monday my son sent photos he took in Brasov. He claims the city and forests that gather around it take his breath away! This region is home to many legends and popular tourist spots, and it claims to be "The best city in the world." Ironically, this region owes much of its enduring fame to the pale, cold ones.